Posted on April 28, 2016, updated June 17, 2017. This month, The Event Group had the pleasure of talking one-on-one with Hannah Conard, founder of Hannah Conard Beauty! Armed with magical makeup brushes and a sunny disposition, Hannah specializes in enhancing a bride’s natural beauty, giving her that “I woke up like this” glow (ah, the glow!). Covering everything from hair and makeup trends to foundation preferences, Hannah leaves no beauty secrets behind for you soon-to-be blushing brides! What does your everyday beauty and makeup routine consist of? It’s pretty basic! SPF is a must for me so I always put on a tinted moisturizer or CC cream and fill in my brows at a minimum. I feel naked without either of them. Are you forecasting any trends for bridal makeup and hair for 2016? Braids are huge right now. Brides have moved away from anything too formal or contrived. 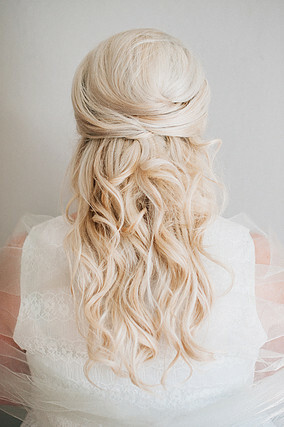 Soft, romantic, effortless even messy! That is what brides want and lucky for me is what I love and really specialize in! If you were stranded on a deserted island and could only have 1 beauty product, what would it be? Anything with SPF in it! If you want to have great skin you have to protect it! Do you have any tips for brides planning out their getting ready timeline for their wedding day? Schedule lots of fudge room! No matter how hard you try, things just tend to run behind. You will feel so much better and relaxed if you allow your self extra time. 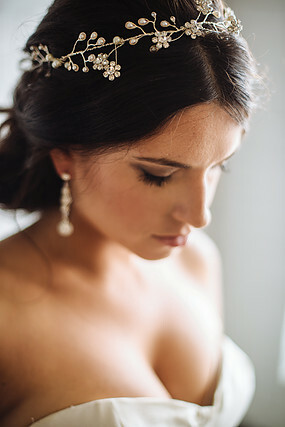 Is there anything you recommend brides to incorporate into their beauty routine before the wedding? If you are going to make any big changes do it at least 4-6 months before to give your skin time to adjust and for the results to really show. Other than drink lots of water and exfoliate, your skin and makeup artist will love you for it. Airbrush, liquid or powder foundation? Ready, go! The never ending debate! I have never been a big fan of powder foundation, particarly not for special events or woman over 40. There are a lot of differences between Airbrush vs Traditional both are great options.The most notable difference is Airbrush is lightweight and waterproof while Traditional is more dimensional and versatile. There isn’t a best option it’s just about finding the right fit for you!